Amazingly, no less than 2.2m X5s have found owners since its launch 19 years ago, highlights Iain Robertson, the South Carolina, American-built, multi-activity vehicle having set a benchmark in the category that has been under assault recently. An entire generation ago, when the cash-strapped giant that was British Leyland was dismantled and sold off in various lumps, at the head of the queue to snaffle-up the brands with the greatest potential was BMW. The cash-rich Bavarian, which is still in the private hands of the Quandt family, made its bid and secured both Mini and Land Rover, plus a plethora of brand names that it clings onto avariciously. During its temporary stewardship of Land Rover, it would be fair to state that BMW stripped the products naked, gleaned as much advance information on future engineering projects and then disposed of the specialist carmaker to Ford Motor Company. Displaying extreme astuteness, BMW even made a considerable profit from the exercise, over what it had paid to the British government, further bolstering its financial and market strengths. The upshot, just a couple of years later, was the first BMW X5. I can still recall the trip to Greenville, in South Carolina, the town just south of where BMW’s enormous US factory produces both its Z-sportscars and the attention-grabbing X5. The factory was unerringly quiet, in stark contrast with any other vehicle production facilities that I had visited world-wide. The X5 was a handsome machine, being unmistakably BMW in style and content. Of course, it was exceptionally well-received by every national market around the world. After all, it was a BMW. However, it was also notoriously unreliable, which suggested that Munich’s finest may have inherited Solihull Land Rover’s worst attributes. It has taken the company, which is also renowned for making its customers carry out unwittingly research and development exercises for it, more than a decade to turn the promising X5 into a high-end motor vehicle possessing some merit. It has been the class of the field for much of the past decade, which serves to underscore the investment BMW has made in its best-selling upper-mid-range model (now topped by the all-new X7, of course). An all-new version is long overdue. Boasting the highest level of autonomous capability yet seen on a BMW X model, with a choice of TwinPower and M Performance petrol and diesel engines, matched to an eight-speed Steptronic gearbox and the latest 4×4 drive system, the new X5 aims for maximum comfort, highest class, competent capabilities and high-performance. While it might look similar to the outgoing version, it is actually enhanced in every imaginable way. Possessing a 42mm longer wheelbase, a 36mm increase in vehicle length, an extra 66mm of width and a 19mm increase in height, the new BMW X5 is both imposing and spacious for passengers and their belongings. 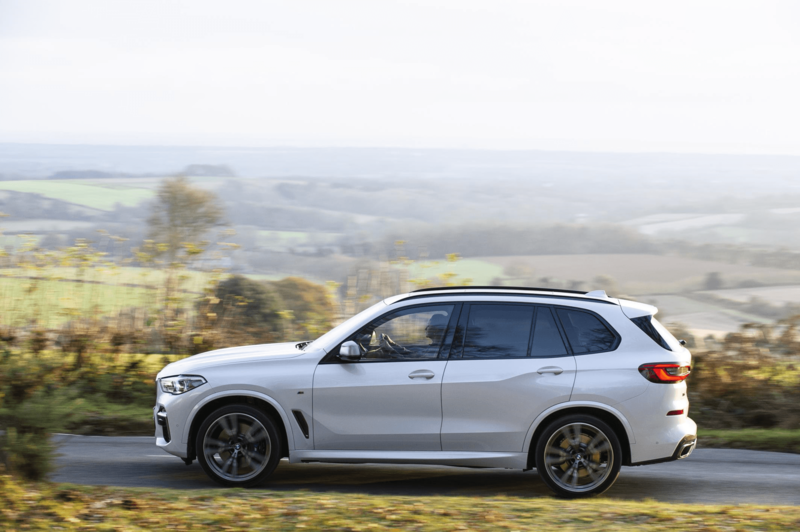 The new model comes standard with 19.0-inch light-alloy wheels (xLine) and 20.0-inch on the M Sport model, although even grander 22.0-inch alloys are fitted to M Performance variants. You can reckon that a coupe X6 will join the line in coming months. Power comes from a choice of one petrol and two diesel engines. The BMW X5 M50d is powered by a 400bhp six-cylinder in-line diesel engine with FOUR turbochargers. More conventional, six-cylinder inline units power both xDrive40i (340bhp) and xDrive30d (265bhp) versions. Interestingly, BMW appears to have dropped the V8 engines from the range, in a clear intent to reduce its corporate eco-footprint. Typical of BMW, the performance stats are excellent for the M50d as the table shows. The list prices are shown as a guide, mainly because BMW customers will up-spec their chosen models by upwards of £10-15k, even though the X5’s standard specification is now the most complete it has ever been. 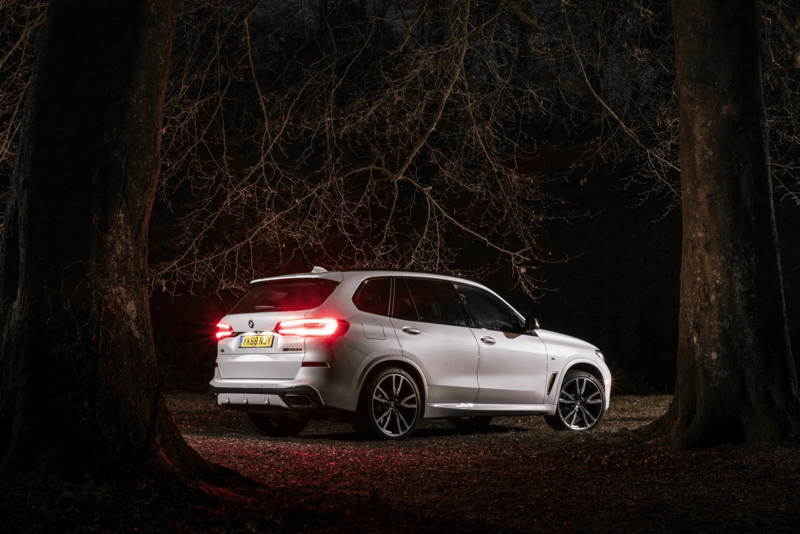 The task of maximising traction, agility and directional stability in the latest X5 falls to a redeveloped xDrive system, which is now able to split electronically the drive torque between the front and rear wheels more precisely. However, it can also be even more rear-biased for the ‘press-on’ driver, a factor that helps BMW to retain its ‘driver-centric’ ethos. Needless to say, the entire suite of connectivity options, electronic driver aids and safety systems has been brought bang up-to-date. The standard, selectable Dynamic Damper Control system sharpens the car’s handling at the same time as increasing ride and suspension comfort. An array of chassis systems available in the BMW X5, which include height adjustability, make it possible for the driver to select the off-road performance, sportiness, or comfort levels, on demand. A fully-digital instrument cluster and the main information screen share the same graphics and design, with the centre console hosting the main controller, the newly designed transmission selector lever and all other driving-related controls. 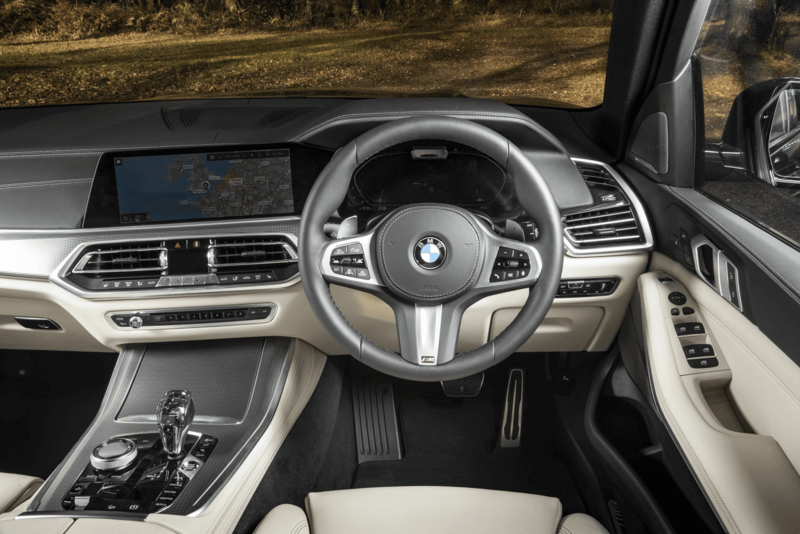 A similarly new-look control panel for the heating and air conditioning is also on hand and the key functions in the new X5 are operated by buttons, rather than a distracting touch-screen. Its boot capacity can be increased from 650-litres to a maximum of 1,870-litres and it is accessed through a two-section tailgate (with hands-free option) for ease of loading. An extra pair of rear seats is available as an option but it reduces the boot space (when they are erected and used by passengers with shorter legs) to something capable of carrying a couple of briefcases. BMW has been playing the long game with X5. I can recall another trip, around ten years ago, to its Spartanburg plant, where I was able to test the capabilities of the car on its tarmac test pad, followed by diving off into the local undergrowth. It was a most impressive exercise for such a hefty lump of multi-surface estate car. Believe me, the new car is even more improved over that version. 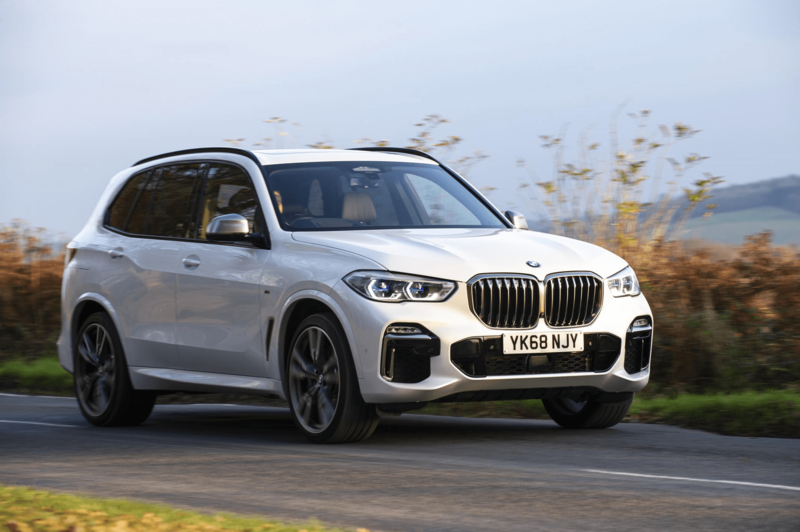 Conclusion: The X5’s popularity is understandable, when you consider that it created virtually the up-market off-roader sector, almost two decades ago, having borrowed extensively and unrelentingly from BMW’s brief ownership of Land Rover. « MALTA DIARY: The EU Member States’ Rule of Law – Malta is small, so bully it!